The Friends of the Casey Jones Trail Association advocates for the development of the Casey Jones State Trail and maintenance of the existing trail, which is owned by the State of Minnesota and managed by the Minnesota Department of Natural Resources (DNR). The dream for this group is to have a multi-seasonal, multi-use trail to run diagonally from the southwest corner of Minnesota to the Minnesota River: A trail of over 100 miles. With other trails groups in the region creating trails as well, there is potential for a vast, interconnected series of trails crisscrossing Southwest Minnesota! The Friends of the Casey Jones Trail Association is a public charity exempt from Federal income tax under section 501(c)3 of the Internal Revenue Code. Gifts to the Association are tax deductible. If you shop Amazon.com via our AmazonSmile link, 0.5% of the purchase price of eligible products will be donated to the Friends of the Casey Jones Trail Association. Join us and show your support for the continued development of the Casey Jones Trail. We welcome new people and new ideas. If you'd rather not be a member, but would like to support us financially, consider making a tax-deductible donation. Contact Amy Rucker for more information. 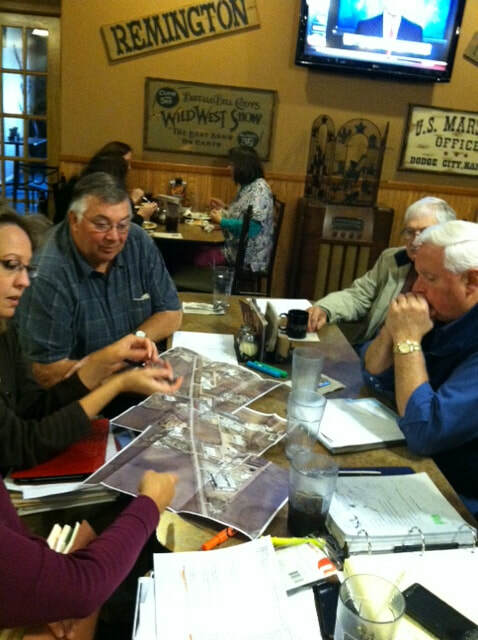 ​The next regular meeting will be Thursday, May 16 at 11:30 a.m. at the Slayton Pizza Ranch. Anyone may attend. RSVPs are not required, but are advised so that we may notify you if the meeting is canceled. RSVP to Deb Nelson or Amy Rucker. Email Deb Nelson if you would like to receive notification of future meetings. The Friends of the Casey Jones Trail Association Annual Meeting was held on Thursday, June 7, 2018 at the Hiawatha Lodge in Pipestone. We didn't take photographs during the meeting, but one of of board members did capture photos of some "early birds" who arrived before the meeting started and wondered what we were up to.